Feeling Hungry ? Then order food online with amazing discounts on foodpanda. You will find here foodpanda coupons, deals, offers and much more………. Enjoy eating your favorite food from your favorite restaurant around your place. Now get Flat 50% off upto Rs.75 on all orders only at Foodpanda. Start ordering now !! 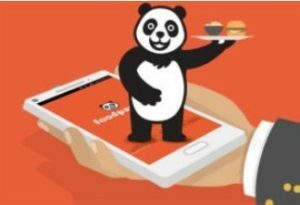 Foodpanda, leading online food ordering and delivery service is currently providing an offer where some of the users can get Rs.40 off on 4 orders above Rs.100 only at Foodpanda. Order now and save more from your favorite restaurants !! Foodpanda is back with an offer for this weekend. Enjoy this weekend by ordering delicious, never tried food items from your favorite restaurants. Get flat 50% off upto Rs.200 this weekend only at Foodpanda !! Start ordering now !! Today’s dinner is on Foodpanda. Now order delicious food items from your favorite restaurants around you and get upto Rs.70 off. Offer valid for today only. In today’s Foodpanda offer, get upto Rs.100 off on Evening snacks order. Order your favorite dish from your favorite restaurant at a discounted price only at Foodpanda for a limited time. In today’s Foodpanda offer, get upto Rs.60 off on Breakfast order. Order your favorite dish from your favorite restaurant at a discounted price only at Foodpanda for a limited time. In today’s Foodpanda offer, get upto Rs.100 off on Breakfast order. Order your favorite dish from your favorite restaurant at a discounted price only at Foodpanda for a limited time. Food Panda is India’s most convenient online food ordering site. It connects people with the best restaurants around them. They believe food is pleasure and food ordering should be fast and definitely a fun experience. Now they have come up with an offer in which you will get food at flat Rs 29. Hurry! How to get food at flat Rs 29? Food Panda is India’s most convenient online food ordering site. It connects people with the best restaurants around them. They believe food is pleasure and food ordering should be fast and definitely a fun experience. Now they have come up with an offer in which you will get lunch at flat Rs 29. Hurry! How to get lunch at flat Rs 29?